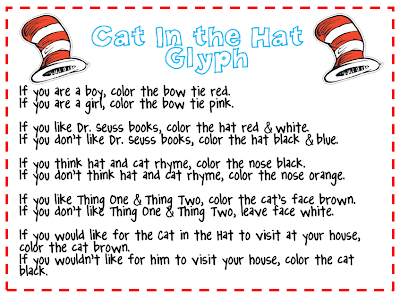 If you're still doing Dr. Seuss activities here is a cute glyph you can add to the list from the Virtual Vine. Click the picture to download the glyph and recording sheet. 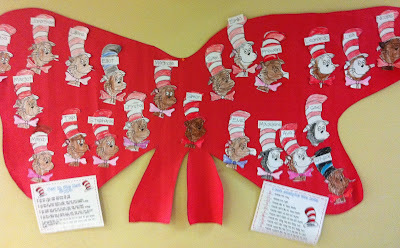 Go here to download the Cat in the Hat. You can display the finished glyphs on a huge hat or bow tie cut out of butcher paper. 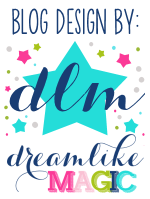 My team member, Ms. Do, did this and it looks super cute.